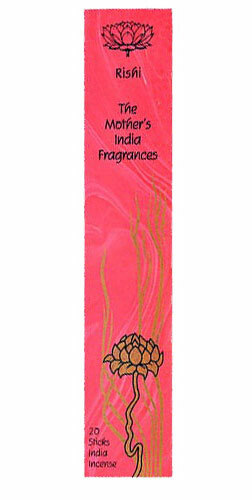 A rose incense in the finest tradition, Rishi is a strong and sweet fragrance. The sweetness is offset by its fresh, light core, a sparkling heart of jasmine and powdery violets. It is uplifting and energizing and very friendly.